Link posting DOES NOT WORK! If you have been looking around Facebook lately, then 9 times out of 10 you have come across a program known as the Facebook Cash Code. 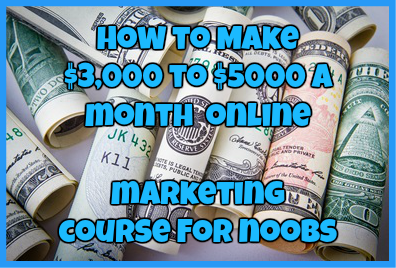 This program makes bold claims that it can help you utilize Facebook to earn up to $397 a day just for doing an hour or less of work. After a bit of digging I have found that this program is very similar to many link posting scams out there and it is not as legit as many people think it is. This program is primarily targeted to those who want to work from home but who don’t want to work too hard in order to make a full-time income. After looking throughout the landing page for Facebook Cash Code, the one thing that caught my eye immediately was the number of testimonials that there were. After carefully looking at the testimonials and then using a website called TinEye, I was able to find that most of the images used for the testimonials were stock photos. What this means is that these testimonials are all fake and generated just for the purpose to make this program seem legit. If that isn’t one sign of a scam, then I don’t know what is. Upon signing up, the first thing that you may have noticed was the price of this program. While it is advertised as costing $47 per month, if you carefully look at the payment page you may find a small disclaimer where you are warned about the increase in price after one month. The price from this program quickly goes from $47 a month to $67 a month. If you have been around this website for a while, then one of the things that you will notice is that I have reviewed many Link Posting Scams. 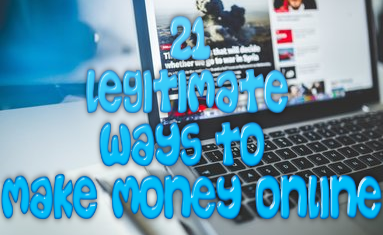 Many of these scams claim that you can make thousands of dollars per week just by posting scams. Many of them also claim that you can make this much money just by posting these links for at least an hour or less a day. If that sounds too good to be true, it is because it is. The only way that you make money from these kind of scams is if people who click through the links that you post purchase products associated with those links. Unfortunately upon clicking these links many people learn quick that they are falling into a scam or need to buy something and quickly click away from it. If you do make any money from these scams, it is nowhere near the amount these programs claim that you can make. There are very few Facebook Cash Code reviews and complaints available today. However, I have been able to find one off of one place I never thought I would find one: Amazon. Just take a look for yourself what this person had to say about the Facebook Cash Code. After looking carefully at The Facebook Cash Code, I honestly can’t believe there are people who are failing for this program. Not only does it fit into the category of a classic scam, but it will not generate the amount of money it promises. On top of that the testimonials given are completely fake and there are multiple discrepancies in the amount of money that you pay. With that said this is one program that I highly recommend you stay away from. Not only will you not make money with this program, but you will lose out on money in the process. Have you tried the Facebook Cash Code? If so, what did you think of it? Regardless, I would love to hear from you! Just drop me a detailed comment about your experience below. ← Affiliate Cash Empire-Can This Program Help You Build an Affiliate Empire?